Love up on your mom this Mother's Day. I love the idea of giving gift items to our moms on Mother’s Day, and I get it, yet I think the best gift of them all is the gift of love, listening, and laughter. In other words, no matter the size of the gift you are planning to give the mother in your don’t forget to use every time you spend with her to tell her how much you love her. Similarly, create a “listening time,” don’t always be in a hurry when your mama calls. If you are a busy bee that’s ok but remember always to call your mama back. By the same token ensure to enjoy the good old laughter with the mother in your life. When you have done all the above, you can now think of gifts that will bring her more joy. Here are my ten favorite gift ideas for Mother’s Day. 2. Calphalon Nonstick Fry Pan set. This is the best pan that keeps getting better. I love this pan for its versatility; I usually use it for my Nigerian fried rice, but I also use it for sautéing my vegetables, scramble eggs, etc. when you have this pan you do not need a wok. 3. Oster 2-speed beehive blender. My go-to blender for everything. And I mean everything! I use it for both hot or cold blend, wet and dry blends as well. For this summer, this is a must-have for your summery smoothies. If you do watch my cooking show, then you must have seen this blender in action. 4. Hamilton beach juice extractor. If your mom prefers juice rather than smoothies then here’s a great one of favorite juice extractors. This will quickly extract juice from your mom’s favorite fruits and vegetables. 5. Cuisinart Griddler. Summer is excellent for grilling and if you can not afford the outdoor grill for your beautiful mother at the moment, don’t worry. This small portable grill is one of my favorite kitchen items. 6. 52 lists for happiness. Beautiful book of journaling. 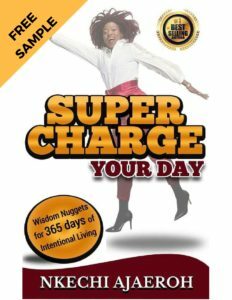 This book will inspire your mom to live a life of joy. Isn’t it our prayer for our mothers especially on mother’s day? 7. The ultimate gift basket. The gift of chocolates, caramels, and crunchy yummy deliciousness never run out of fashion. 8. Metallic gold clutch. Well, if the mother in your loves flashy gifts then this beautiful fold-over clutch might be the answer. 9. Wooden silicon kitchen set. An excellent gift for all mothers that love natural kitchen utensils. After all what else can I say? 10. Burt’s bees hand repair bundle. A lovely gift for mama anytime any day. What are you going to give the mother in your life this Mother’s day? And if the above gifts aren’t enough, then head over to Amazon and go through their gazillion of Mother’s Day gift ideas.